Nothing can beat an authentic creamy, sugary gelato as the ultimate sweet treat – or can it? 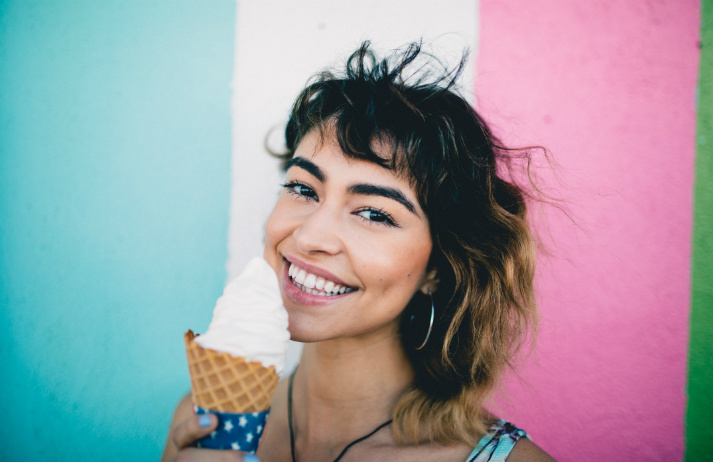 Creative low-calorie ice creams have been flying off the shelves thanks to health-conscious foodies wanting to indulge their sweet tooth, without having to consume waistline-expanding sugars. Over half of Britons struggle to find the time to eat as healthily as they’d like, with some resorting to a bag of crisps or chocolate bar from a vending machine when rushed and hungry. Healthy Nibbles offers an alternative, packing its machines with artisanal, healthy, and allergy-friendly snacks. Ever felt your spirits lift when the sun is out, or slump when waking up to grey clouds? It’s something we all experience, but beyond affecting mood, how does the weather impact shopping habits? And how can brands capitalise on seasonal and daily shifts to satisfy customers’ needs? With obesity at the forefront of many consumers’ minds, they are looking for healthier snacking options. In response, snack and beverage brands are implementing new strategies, including reducing portion sizes, ‘premiumising’ their products and using clearer labelling. In her 2016 book First Bite, food writer Bee Wilson drew on research from food psychologists and neuroscientists to reveal how people’s food habits are shaped. Speaking with Canvas8, she explains the influence of family, memory, gender and love on the things we eat as children and adults.